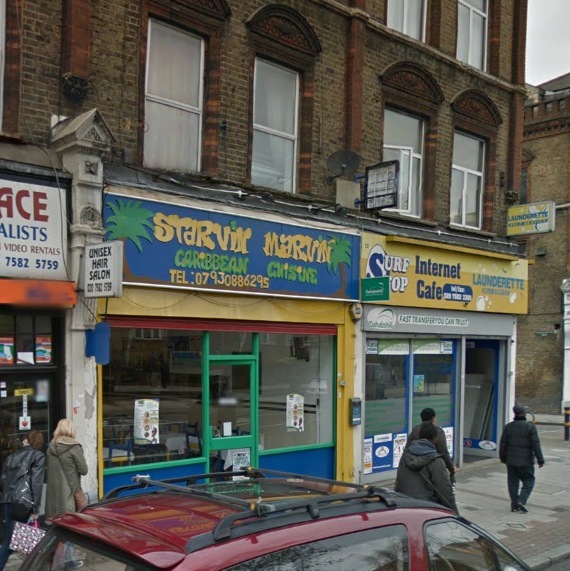 Number 54 is the property that is occupied by ‘Starvin Marvin’ in the modern photo above. Number 54 was at first number 56 until renumbering around 1898. 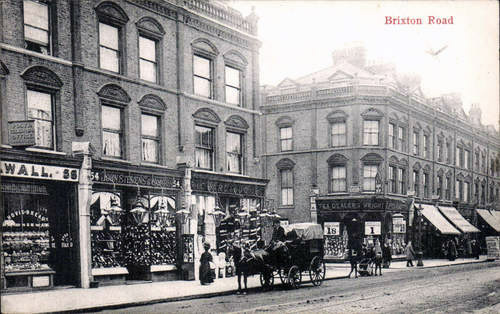 In the image above from 1908 you can see 54 Brixton Road, it is the property just before the horse and cart. It is occupied by a bootmakers, you can see that the window is jam packed with boots.